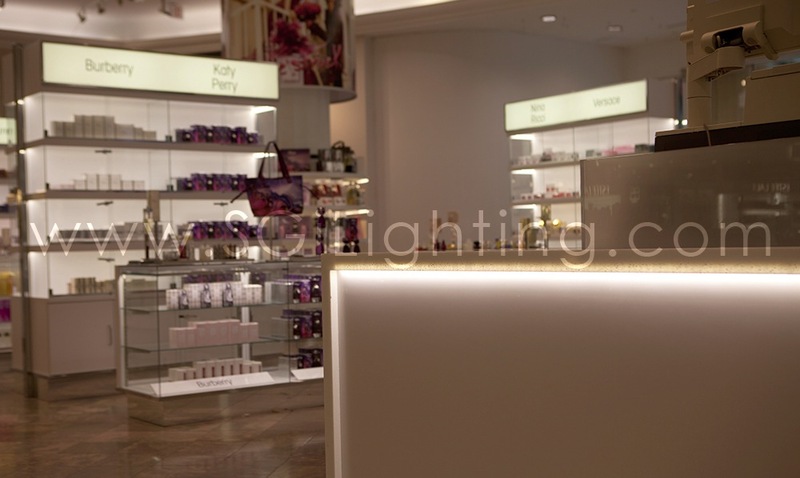 We recommended a 3000K colour temperature to add warmth to the white shelves which would otherwise appear clinical. 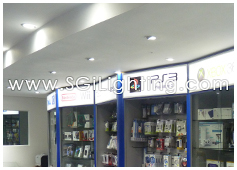 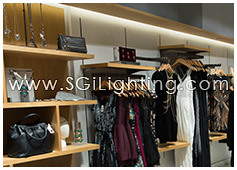 From the time LED technology became viable for lighting, SGi has had the privilege of providing LED lighting solutions for this national retailer retrofitting existing cabinets; supplying their millwork manufacturers with lighting for their new cabinets and offering unique lighting solutions to various projects. 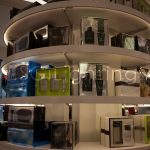 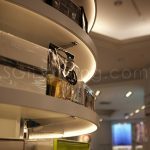 Display lighting plays a crucial part in attracting a customer into a store and sets the tone of comfort that keeps them in the store and encourages browsing. 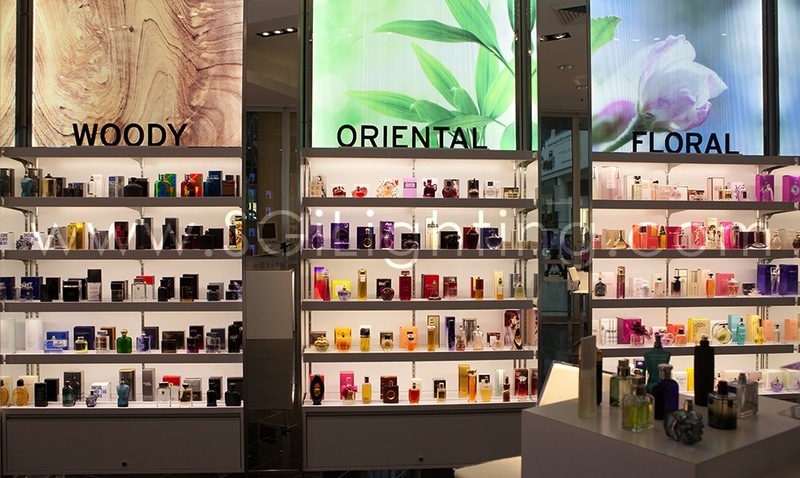 The longer a customer stays in a store helps create an emotional connection, which results in a desire to purchase. 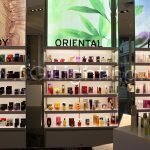 Converting these precious decision making moments into sales dollars at their cash register is rewarding for the retailer. 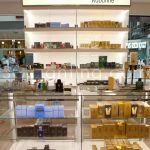 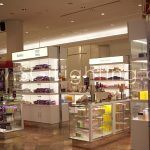 When our client needed to update their look for their flagship store at the Toronto Eaton Centre, their Creative Design team envisioned sweeping views of perfume displays at the mall entrance. 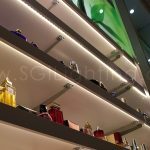 Built-in-shelves running the entire length of walls with over-sized back-lit LED Poster Panels and ceiling height frameless niches was just the beginning. 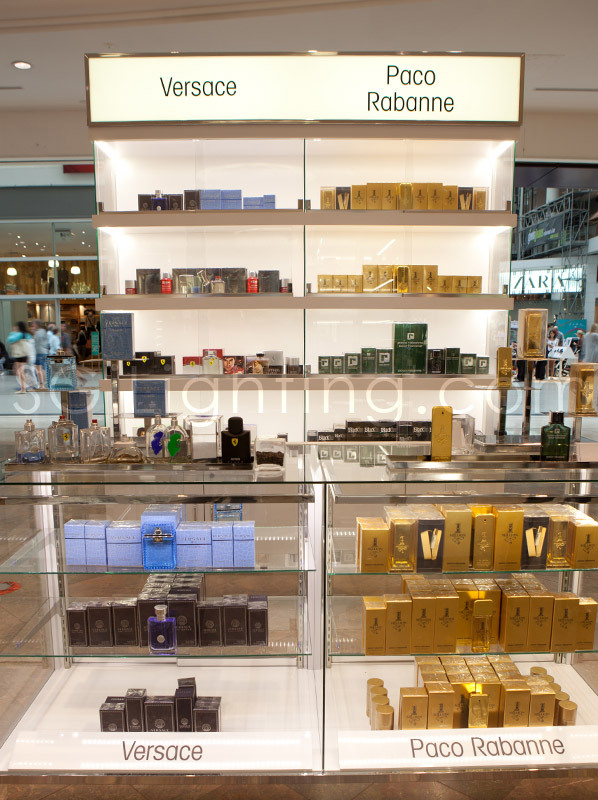 Large structural columns that occupied prime retail space were cleverly included in the design and put hard to work wrapped with shelves hosting premium perfume gift sets. 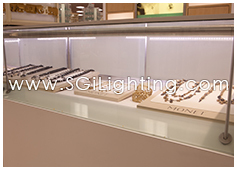 Floor displays consisted of floating cabinets, stone covered islands and cash counters. 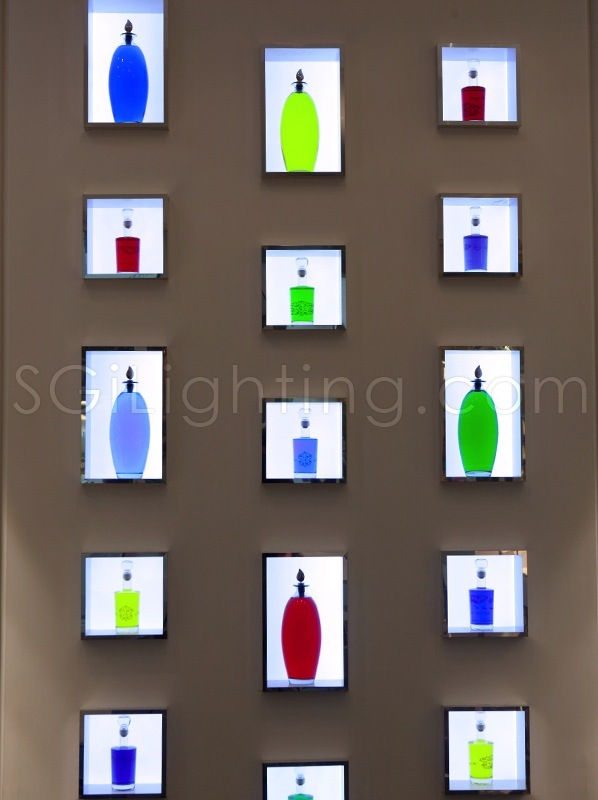 Now, to add light to all the displays! 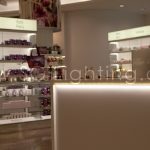 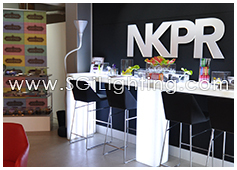 We were summoned to help them with LED lighting solutions that fit into their design, budget and expedited timeline. 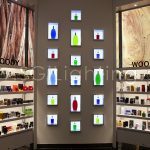 As usual, SGi was up to the challenge and delivered the first ever, Frameless LED Light Panel that breathed life into the very high majestic wall of niches. 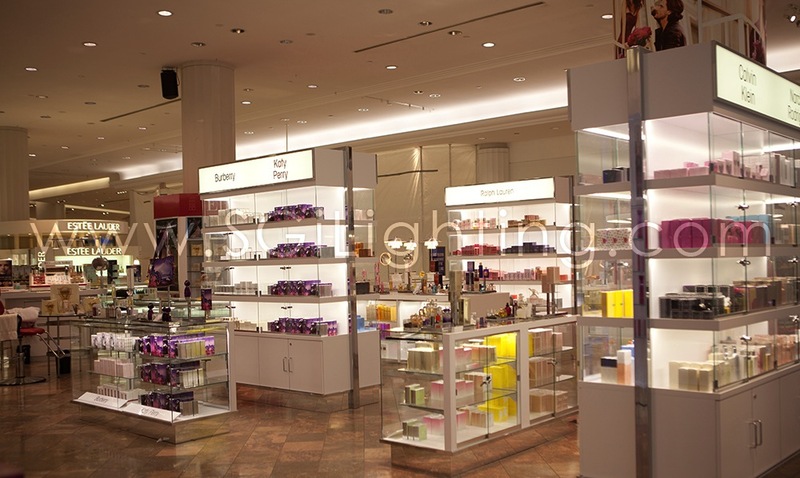 Existing linear lighting fixtures that delivered enough light for displays would create a messy and disjointed look for the circular shelves that were in sight lines. 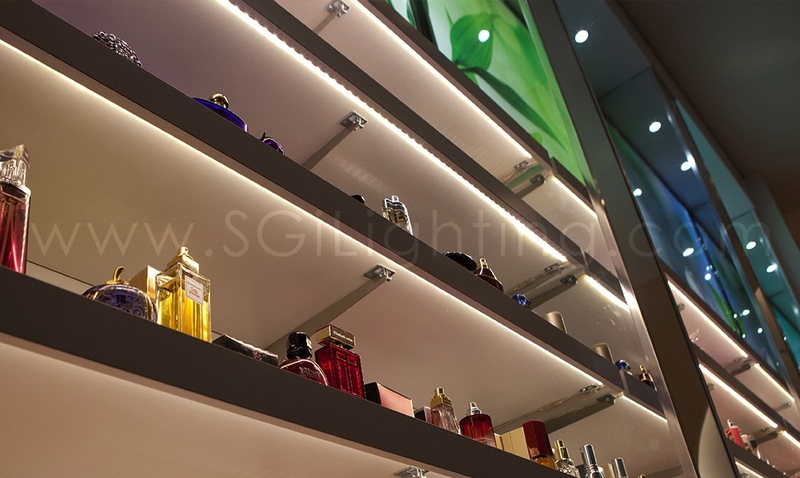 The lower lighting levels emitted from rope lighting could not provide the lighting levels to compliment the other displays with SGi lights around it. 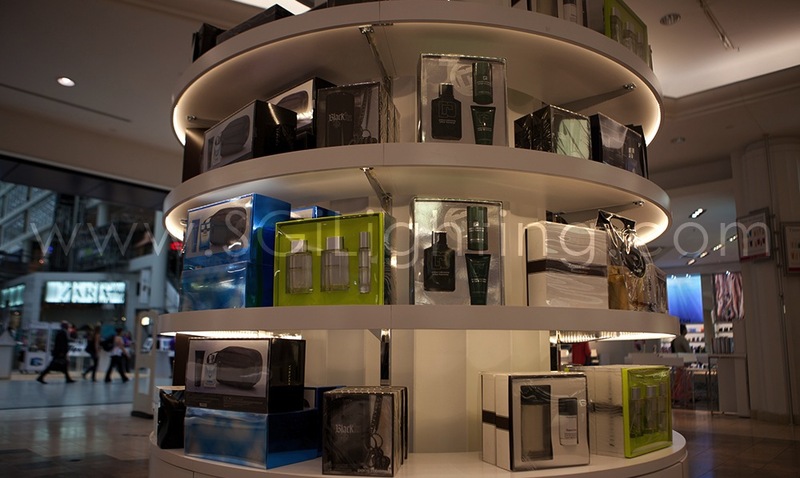 This was a huge disappointment to the Designers. 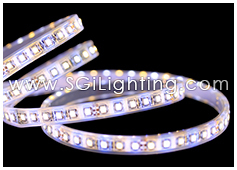 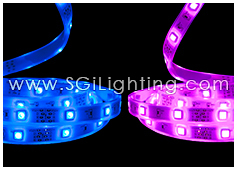 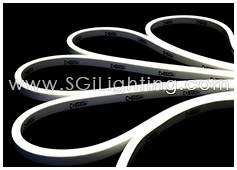 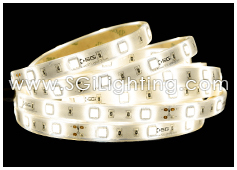 SGi surprised the Design team with their new product ñ the SGi SideView LED Flex Light. 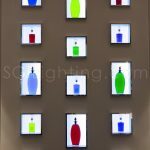 Upon receiving elated approvals we expedited the release of this product to meet the projects timelines enabling all the displays to be united in design and light, as was the vision of the design team. 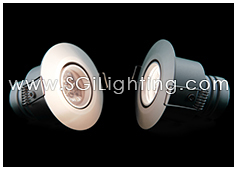 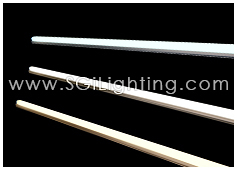 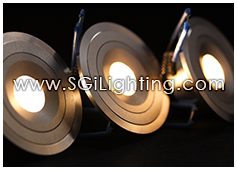 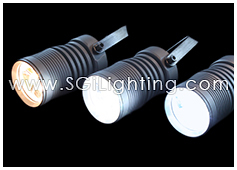 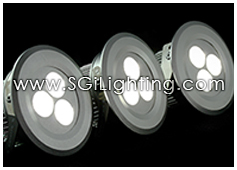 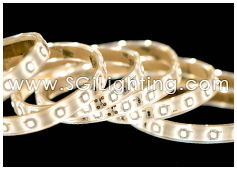 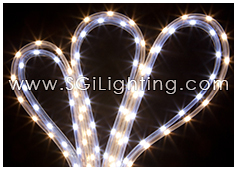 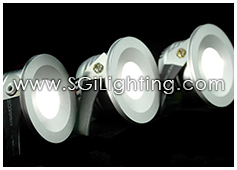 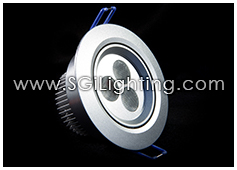 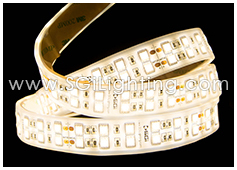 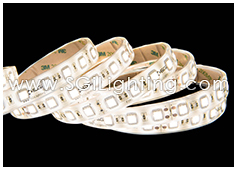 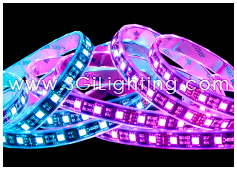 Our normal process of tight binning of the LED diodes ensures light colour consistency. 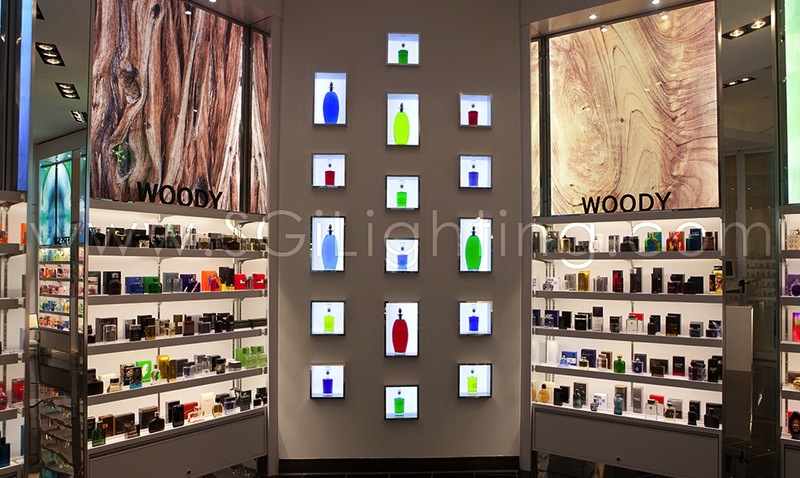 This is at its best example with the white displays. 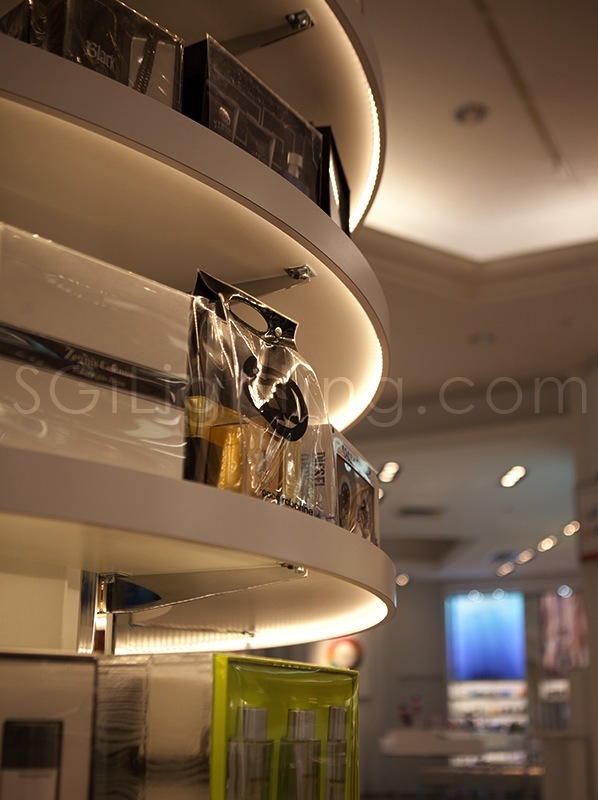 Consistent binning is a SGi specialty and it adds to the upscale look of unity from shelf to shelf and from area to area for all the displays. 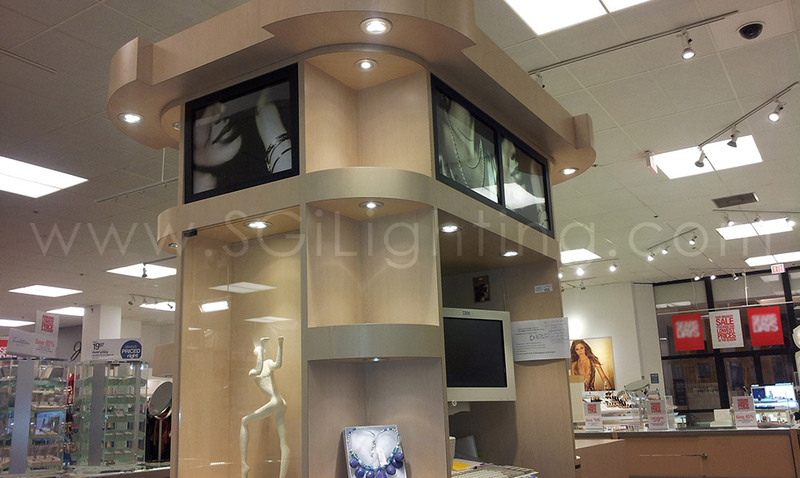 All features combined was such a hit that this program eventually rolled out to stores across Canada. 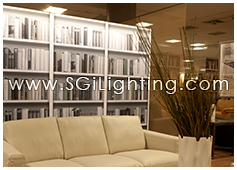 We will let the photographs continue the story.